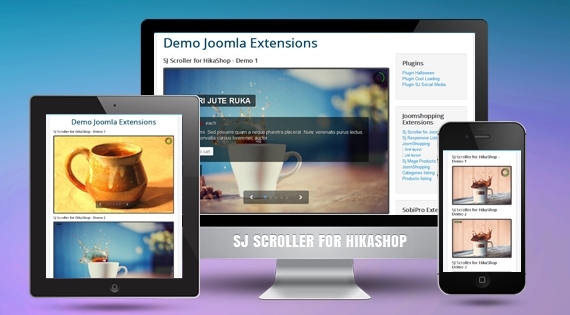 SJ Scroller for HikaShop is a stunning responsive Joomla module for HikaShop component which shows products as scroller with timer and mini-slideshow. SJ Scroller for HikaShop will attractively present the products with title, description, price, add to cart button...under lots of awesome effects. The module is great solution for showing featured products that supports responsive layout for any devices. Besides, the module allows users to totally control its parameters and customize it as their wishes.